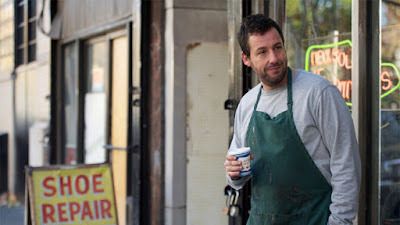 Adam Sandler saves the neighborhood one sole at a time in the comedy-fantasy film “The Cobbler,” the latest “Movie Blowout” of the cable channel delivering foreign films dubbed in Filipino, Tag TV (SkyCable ch. 77), this Saturday (June 10). Adam portrays the role of Max Simkin, who runs a shoe repair shop in New York that has been operated by his family for generations. One day, he is forced to make use of an old machine to do repairs. To his surprise, he undergoes an unbelievable transformation that allows him to step into the lives of his customers and see the world in a new way. The film’s cast includes Method Man, Dan Stevens, Dustin Hoffman, Steve Buscemi, and Melonie Diaz. It is directed and written by Tom McCarthy, and co-written by Paul Sado. Tag TV brings Filipino-dubbed foreign films showcasing a collection of rom-coms, dramas, action-packed movies, thrillers, comedies, and the freshest Hollywood and Asian titles. It features “Movie Blowout” every Saturday night, offering exciting flicks for the whole family. Catch the eye-opener “The Cobbler” on Tag TV this Saturday at 8PM. The film also airs on June 10 at 10PM, June 14 at 6PM, and June 21 at 10AM. Tag TV is available on Skycable Channel 77. For more information, like Tag TV on Facebook and follow its official Twitter and Instagram accounts (@TagTVph).